HKP Architects and Designs Northwest teamed up to design this six building campus in the city of Marysville with 50 one and two bedroom apartments units for Housing Hope. Housing Hope’s mission is to promote and provide affordable housing and tailored services to reduce homelessness and poverty for residents of Sno­homish County and Ca­mano Island. 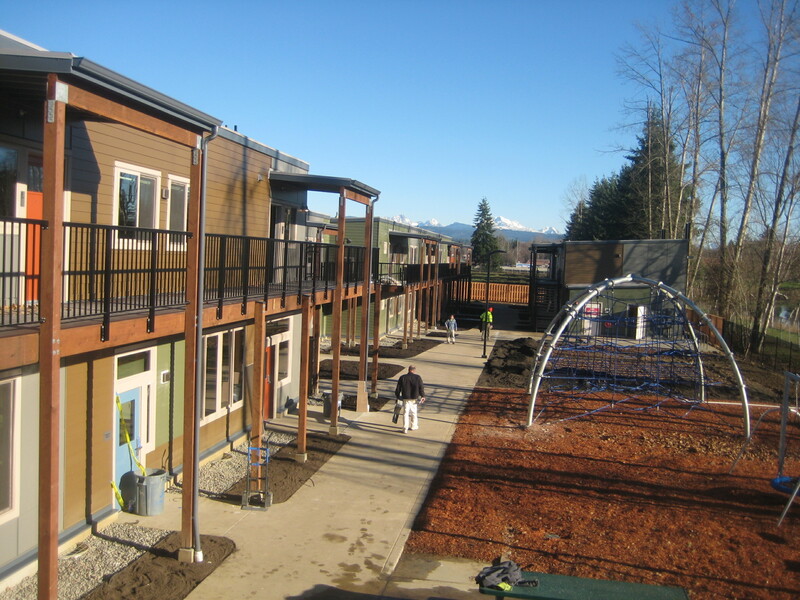 This project utilizes modular construction and is the largest modular affordable housing project in western Washington. The central Community Building includes four residential units, an Adult Training space, a Children’s Room, the central laundry, and Housing Hope’s on-site manager and staff offices. There is a community garden, playground and dog-walking areas. 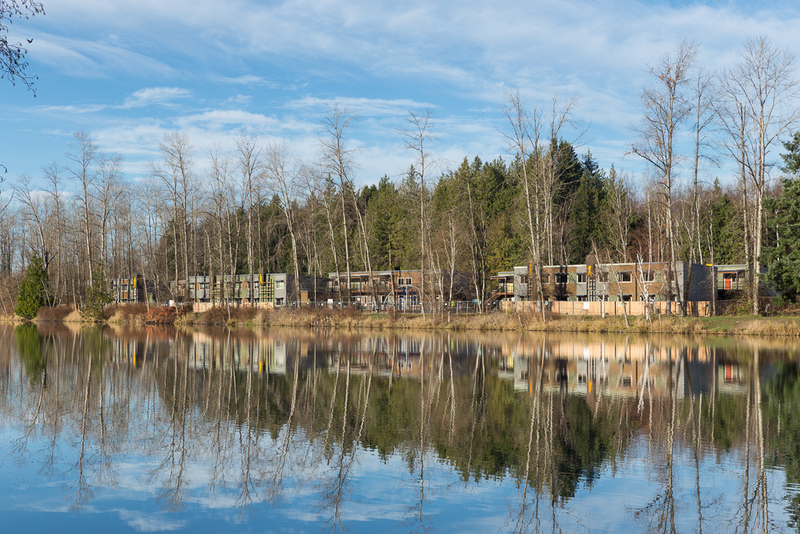 The site is directly adjacent to Gissberg Twin Lakes, and the units and common grounds have sweeping views of the lakes, mountains and forest surroundings. 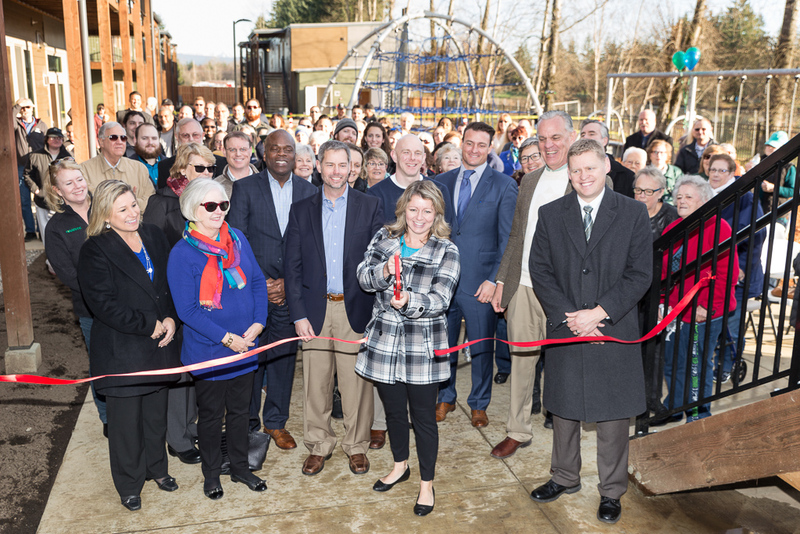 “Despite a challenging budget situation from the beginning, we were able to work with Housing Hope to keep the critical design elements that make a place more than merely shelter – a place that encourages community engagement, changes how people feel about their situation and improves the way a child sees the world. We’re so thrilled to play a very small part in solutions for this pressing challenge facing all of our communities,” said Julie Blazek, Partner at HKP Architects.